One of the short films which have been made especially for the Paralympic Games of the Rio 2016 has grabbed the people’s attention well and it has gained 2 prestigious awards in the France in the Cannes advertising festival this week. This short film has already gone viral in all the social networking and social media sites in the month of September 2015 and this video challenges the perceptions of the people with a fact by celebrating the capabilities of some of the top Paralympians of Brazil. The video that has been campaigned for the paralympic sports has won many awards and here are the details of it. When it comes to the category public relations – the film has received bronze lion for marketing and content-led engagement. In the category of media, it has gained bronze lion for using the content that is branded for social media as well as for digital. It too had gone for finals for 2 other awards. The Cannes festival is specially dedicated or considered for the academy awards in the field of advertising. This main aim of this festival is to recognize the most innovative campaigns of the year and give them awards like bronze lion which is equal to the bronze medal. 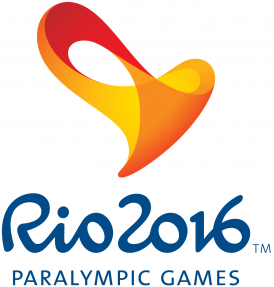 Here is the video of that Paralympic Sports Campaign of Rio 2016 Viral Video. In this video, the stars of Paralympic games who are from Brazil turns up unidentified to gyms and had taken on all the corners. So, have a look at the video and if you have any preconceptions on those sports you will get right answers with this video.